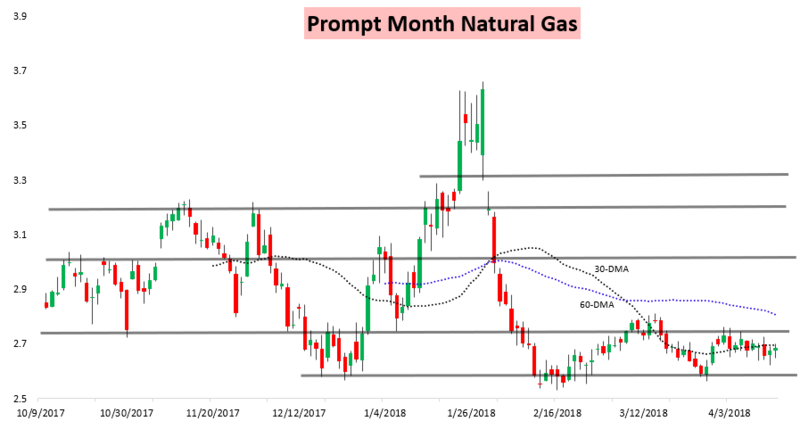 The May natural gas contract gained a whopping 11 ticks on the day to settle up .4% in a day of relatively slow trading around this morning’s EIA print. Prices were trading lower this morning before continued firm cash prices helped them tick back up again. 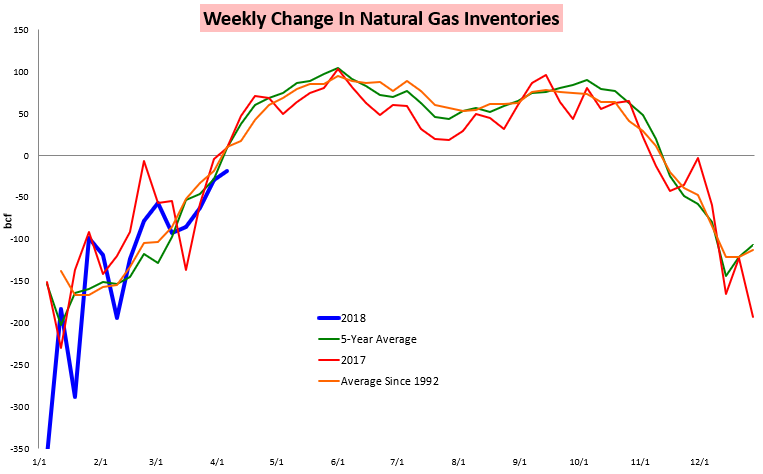 At 10:30 AM Eastern the EIA announced that we had withdrawn 19 bcf of gas from storage last week, which was enough to give prices a little bounce and flip them back positive on the day. This was just 3 bcf from our estimate to subscribers of -16 bcf, though most analysts were clustered lower around -11 to -13 bcf. The result was a modest bullish miss from this consensus, though despite the initial pop in prices in our EIA Rapid Release we highlighted that we just saw the print as neutral overall (which ended up verifying well given price action into the end of the day). Looking deeper into this print, back in our Tuesday Note of the Day we had highlighted that given withdrawals reported from TCO and DTI we were expecting a mid-teen draw to be announced nationally. 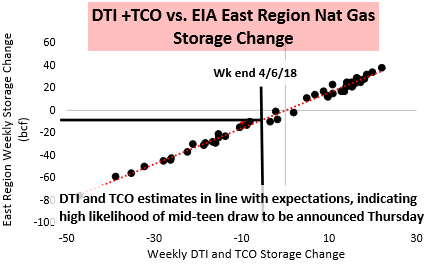 The East saw a withdrawal slightly above what TCO and DTI would have otherwise indicated, and the Midwest saw an even more impressive draw. 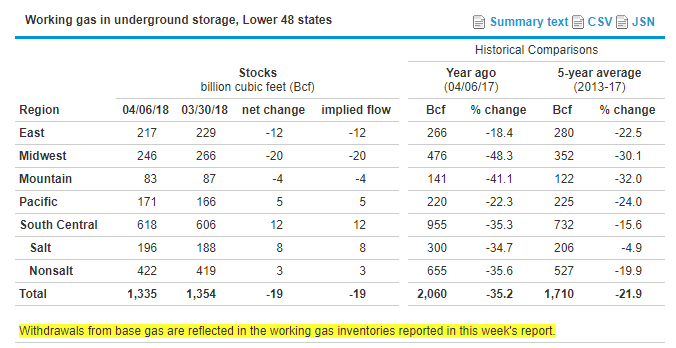 The EIA also interestingly noted that, “Withdrawals from base gas are reflected in the working gas inventories reported in this week’s report,” indicating that some base gas was released from storage as well.